Before we had kids LB would often spend a week or two of the summer in Sydney. Sometimes working up there, sometimes just chilling with his fam l, a holiday for which I didn't want to use my annual leave. But it was good. I'd just live my life in Melbourne and watch a few seasons of Buffy. God I miss that luxury. During one such period I was at my uncle's place for some family gathering when my then 10-year-old cousin convinced me and Russeth and Chickpea to go across the road to a race track that had carnival rides set up at Christmas time for office parties and would give free passes to neighbouring residents to appease their response to the constant noise. 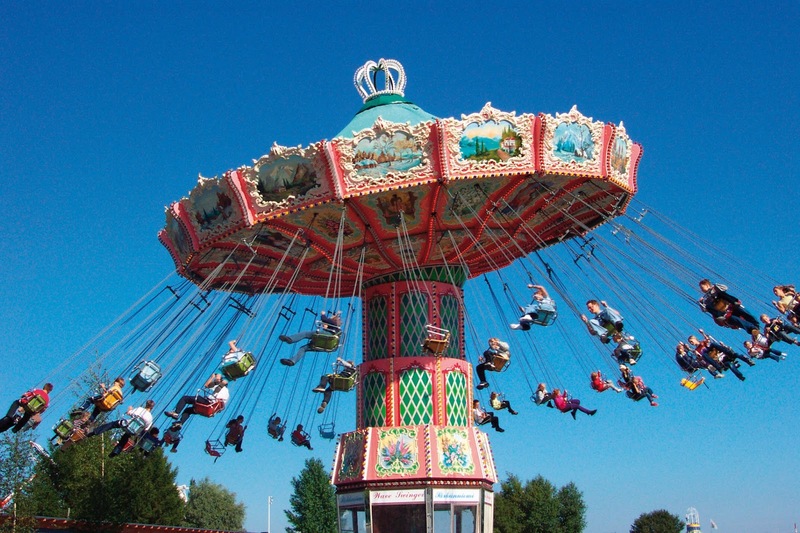 By the time she dragged us along my lil' cuz had spent so much time there she bee-lined straight for her favourite ride, a sickening-looking one that had small capsules that spun around while sitting atop a circle that also spun around and was possibly in another circle spinning around. I can't remember the details but there was a fuckload of spinning and seconds after it began I just wished it would end. It seemed to last for ever, though it could only have been minutes. The whole time Russeth was sitting beside me making these kind of heaving noises which were a self soothing technique for him but really made my experience much worse. And the whole time, the minutes that felt like hours, I just kept wondering if somehow all that Buffy I'd been watching had somehow brought the hell mouth to Moonee Ponds and if that ride had sent me through that hellmouth into a hell dimension. And when I say that's what I thought I don't mean I was thinking of Buffy as a metaphor I mean I really started to wonder if a Buffy was real and I was in hell. That ride was awful and it was messing with my mind. I was reminded of it the other day when we went to Adventure Park and Baby went by himself on a ride that went fast around in circles and high in the air. Basically the ride pictured above. I could see his cute little face, teeth clenched, eyes shut tight. I could really feel his terror and sickness and I asked myself why hadn't I warned him properly. Why did I let him do it. When the ride finished he came off and told me he'd been terrified but by he end he'd loved it. By the end of the day he'd been on that ride ten times at least and I know that he hadn't been in the hellmouth. He loved it. I don't even like swinging on a park swing, I find it mildly nauseating. Being a kid is so different to being an adult. I used to love doing underwater somersaults for that sick feeling. Now I can't even bring myself to do one to see what it's like. Why is a kids fun an adults hell mouth? Life, ay?